Big changes coming to downtown market? 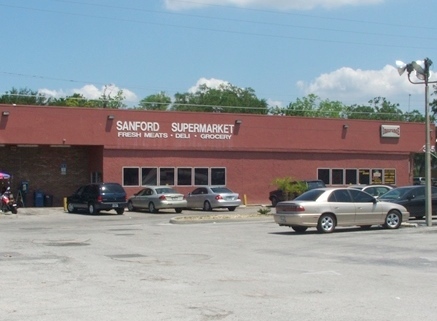 A private investor is interested in purchasing and upgrading the Sanford Supermarket in the 300 block of South Sanford Avenue (Gmap). And before some of you hyperventilate and lose your cotton-picking minds with delusional exuberance, it is NOT Trader Joe’s. If a deal is consummated, the facility would be operated as an independent grocery store, said a source close to the investor, who spoke on condition of anonymity because the investor has just recently begun the due diligence process. The property is for sale and listed with Jay Nooshin of J Max Properties Inc. Mr. Nooshin said there have been several inquiries about the store, but he said there is not a contract on the property, currently. If purchased, the plan would be to upgrade the facilities and inventory said the source close to the investor. The store generates a monthly revenue of $165,000 ($1.98 million annually), according to information provided with the property listing. The 11,400-square-foot building is currently listed for $1.35 million and includes the 10,400-square-foot grocery store and an adjacent 1,100-square-foot office space. Mr. Nooshin said a sale would include all property and equipment, but not inventory. UPDATE: After posting this story, I received a call from the investor mentioned in the story. This person confirmed they are in fact interested in purchasing the Sanford Supermarket, but asked for one clarification. The due diligence has barely begun, and the partnership team has not been finalized. Any purchase would not occur for several weeks, at least. “I’m very interested, but I want to do this right. It’s going to require the right people,” the investor said. Previous Previous post: Family Dollar: too cheap to cut the grass? Next Next post: Anybody want to buy the old county jail? Those of us that are living downtown, and particularly in Serenity Towers (formally Brahm Towers) would find a new and clean “city food Market” a great, worthwhile, and very needed addition to our downtown.